Sharp – a part of UDG Healthcare plc, a global leader in contract packaging and clinical supply services, has completed the first phase in the development of its new USD $23m state-of-the-art facility in Bethlehem, PA.
Sharp acquired the new Sharp Bethlehem facility for $14m in 2017 and has now completed a $2.5m relocation project, transferring the company’s clinical storage and distribution services from its Phoenixville site. 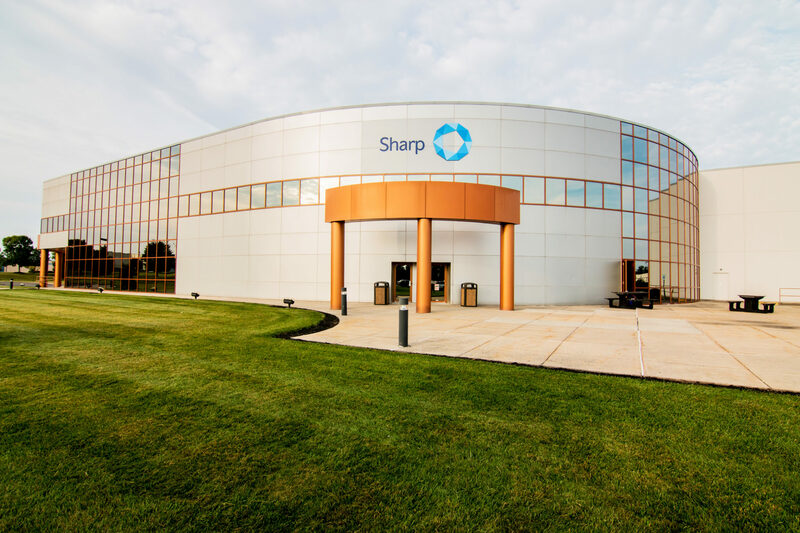 A second phase will see Sharp co-locate its fully-integrated clinical services offering at the site when its packaging, manufacturing and analytical services move to the facility in late-2018, following a $6.4 million refit. The Bethlehem development offers 1.5 million cubic feet of capacity on a 16-acre plot and will allow the company to increase pallet space for both cold and controlled-temperature storage by approximately 50%. Investing in the Bethlehem site- has created 1.5 million cubic feet of new clinical services capacity in 2017 and is consistent with Sharp’s strategy of capacity expansion to support current clients and meet future demand. Sharp, a division of UDG healthcare, is a global leader in contract packaging and clinical services. Operating from state-of-the-art facilities across the US and Europe, Sharp has built an international reputation for delivering cost-effective blister packaging, bottling, pouches and stick packs, compliance packaging, formulation and manufacturing services, label design and printing. Sharp is also a world leader in ‘Track and Trace’ serialization services, which will require all prescription drugs to have a unique serial code for authentication and traceability. For more information on Sharp and its solutions, follow us on LinkedIn, and Twitter.